At A1 Orange, Attitude is Everything! “Attitude is Everything” was A1 Orange first President Jack Couture’s personal motto and he always encouraged A1 employees to take pride in a job well done. He believed in sharing his success with others and practiced corporate social responsibility long before that phrase existed. A1 Orange continues to reward team members with an industry-leading benefits package; actively supports the window cleaning and property management industries; and supports charities, schools and community drives where we do business. Jack’s “Attitude is Everything” continues to fuel our commitment to excellence in every endeavor! In 1951, when Jack Couture was a sophomore at Orlando High School, he inherited his father's window cleaning route, a bucket and a few squeegees. Cleaning windows and performing janitorial work before and after school, he earned a reputation for hard work, dependability, and good service. 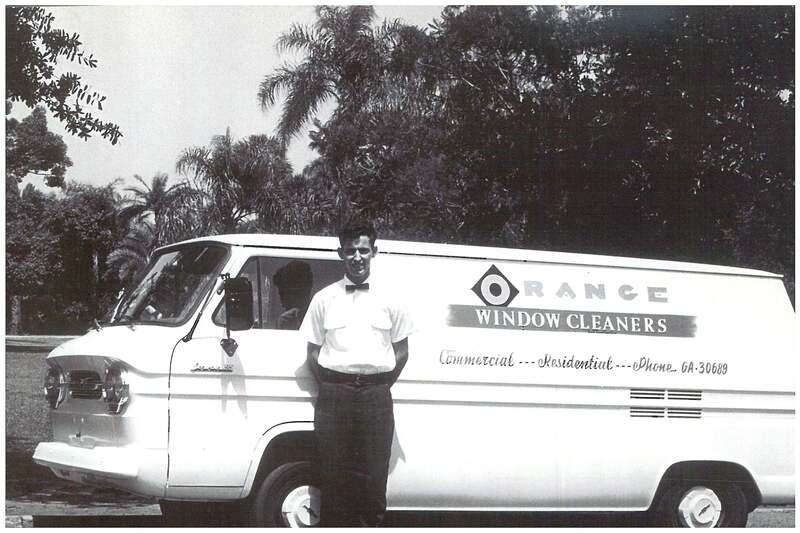 He purchased his first window cleaning truck in 1962. He believed that the customer was right, and always strived for 100% customer satisfaction. 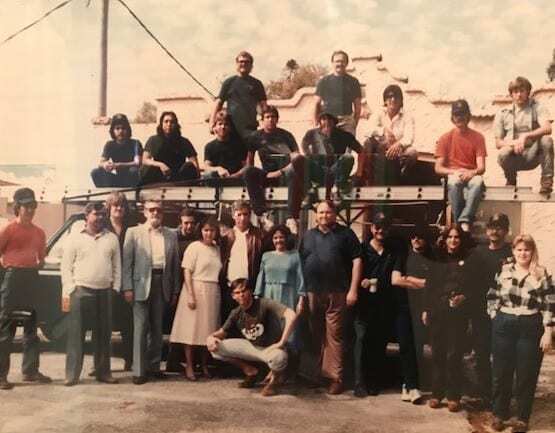 In the early 1970’s, as A1 Orange added team members, vehicles and equipment, Jack and Reba Couture opened A1’s first office at 2411 E. Jefferson Street in Orlando. In addition to managing the office, Reba worked with teams doing construction cleanup at hotel properties. A1 Orange was the leading window cleaning company in Orlando when Disney World came to town, and ready to grow! A1 performed most of the initial construction cleanup at Disney World’s Contemporary and Polynesian Hotels – from curtain walls, skylights and windows, to hotel room and bath construction cleanup. When third generation family member, Vickie Couture, joined A1 Orange in 1983, she added much needed accounting and human resources’ expertise after studying at the University of Central Florida. By 1986, A1 was bursting at the seams of the Jefferson Street office — with Florida’s growth exploding and A1 team members traveling throughout Florida to clean properties at the request of property managers, who were moving from Orlando to other Florida cities, such as Jacksonville and Tampa. In March 1988, A1 moved to its current office/warehouse facility at 1345 Long Street in Orlando. 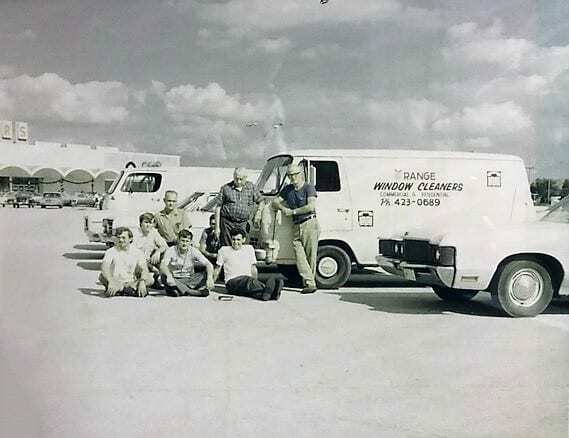 In 1989, A1 Orange was invited to a Dallas meeting with other established industry leaders and became a founding member of the International Window Cleaning Association (IWCA), devoted to raising industry professionalism and safety. Vickie Couture became A1 Orange President in 1991, and in 1995, served as the 6th IWCA President. A1 Orange also actively supports the property management industries in Orlando, Jacksonville and Tampa through memberships in BOMA, CREW and IREM. We give back to our communities through contributions of time and money, encouraging A1’s business partners and friends to come together in meeting local community needs. A1 Practices Corporate Social Responsibility. A1 Orange was one of the first window cleaning/exterior building services companies to offer all full-time team members (employees) benefits, such as paid holidays, sick leave, health insurance, and employer-matched 401K contributions. All team members are employees, not subcontractors. As a founding member of IWCA, A1 Orange hosted the first IWCA Convention in Orlando in 1990. A1 Orange staff have participated in government and industry safety committees since 1991, which led to OSHA 1910 — a great leap in safety for hi-rise workers! A1 representatives are also very active in property management business groups in Orlando, Jacksonville, and Tampa, such as BOMA, IRMA, CREW, and IFMA. A1 Orange is very committed to giving back in our local business communities, and brings together A1 Orange business partners and friends to participate in two main community fundraisers annually: The Salvation Army Angel Tree and Commissioner Regina Hill’s Orlando District 5 Back-to-School Clothing Drive. 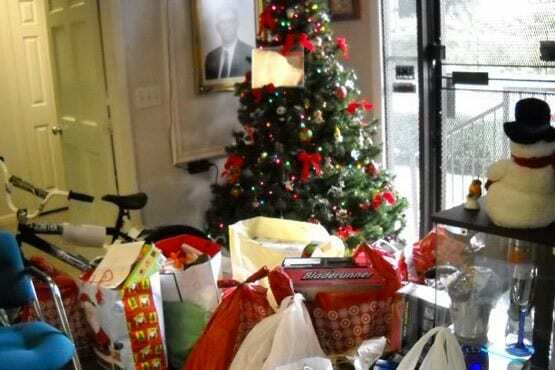 In addition to providing staff time to support these broader outreach programs, A1 Orange also makes both in-kind and monetary donations to local schools, fundraising walks and more.